Call the midwife season 7 release date has been confirmed. The super hit series is returning for its seventh installment. The fans are eagerly waiting for ladies of Nonnatus House to return in CTM season 7 (and of course season 8 and 9). More excitingly, the BBC One has made available the sneak peek images of the season 7 of Call the Midwife which starts from 21st January. 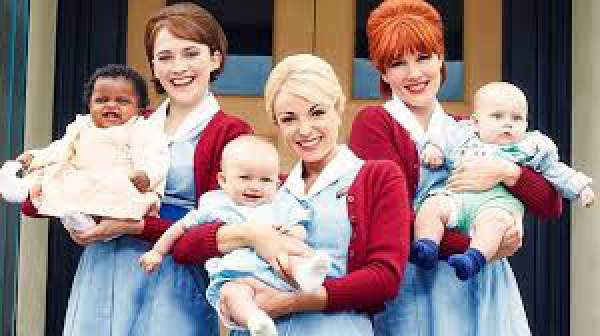 Call the Midwife Season 7 Plot: What’s going to happen? 1 Call the Midwife Season 7 Plot: What’s going to happen? 2 Call the Midwife Season 7 Cast: Who’s going to be in it? 4 Call the Midwife season 7 release date: When will it be back? The 6th series ended with some amazing and unexpected twists, so we obviously expect to see storylines continuing on where they left on in the last season. After some hard times, Nurse Trixie Franklin (Helen George) found love with dentist Christopher, which was quite a big surprise as well as a delight for viewers. We’re definitely looking forward to seeing how their relationship unfolds in the upcoming series. And most importantly, the series six ended on a very sweet note as nurse Barbara Gilbert got married to her reverend fiance Tom Hereward. The upcoming season will feature their journey as the newlywed couple. Let’s see how their marriage unfolds. Check: Dragon Ball Super episode 124. Call the Midwife Season 7 Cast: Who’s going to be in it? According to the latest reports, the key cast will return to reprise their roles. However, there is a bad news as the viewers won’t be seeing some of the favorite characters in the new series, such as Bryony Hannah, Emerald Fennell, and Kate Lamb. They have already quit the drama. Fennell and Lamb portrayed nurses Patsy Mount and Delia Busby. Their relationship has been an important part of the show. Hannah played a nun Cynthia Miller since 2012. As mentioned above that there are many characters that have been lost, it’s been announced that the show is bringing in a new character in the form of midwife Lucille Anderson, played by Leonie Elliott. We also got to know that from the recent interview that Helen George will not be seen in some of the upcoming episodes. It’s because she was pregnant during filming and bowed out of the filming when it became difficult to hide her bump. However, it’s not known yet how Trixie will take a temporary exit. We are expecting it to be a good reason. Well, the trailer as expected is quite amazing and will surely mesmerize all the fans. The expectations rise after watching the trailer once. Call the Midwife season 7 release date: When will it be back? According to the latest news, the season seven will start at 8 pm on Sunday 21st January on BBC One.